Yoga Therapy—or as we call it Yoga As Medicine— is the selective use of various yoga tools — such as poses, breathing techniques, relaxation exercises and meditation, as well as dietary and lifestyle advice — to help people with virtually any health condition, physical or psychological. Because people's health and fitness vary, we often modify poses or use props to make the practices safe and effective. In Yoga As Medicine, we perform detailed holistic assessments of each client—evaluating body, mind, spirit and environment—and then craft a personalized yoga program. And that's precisely what we teach in our seminars and teacher trainings. Yoga therapy can be used by itself or as an adjunct to any conventional or alternative medical treatment. ​with delivery in 2-8 business days. ​if You Order a Case of 10 Books! "There is so much wisdom in this heartfelt, moving, and deeply personal book." 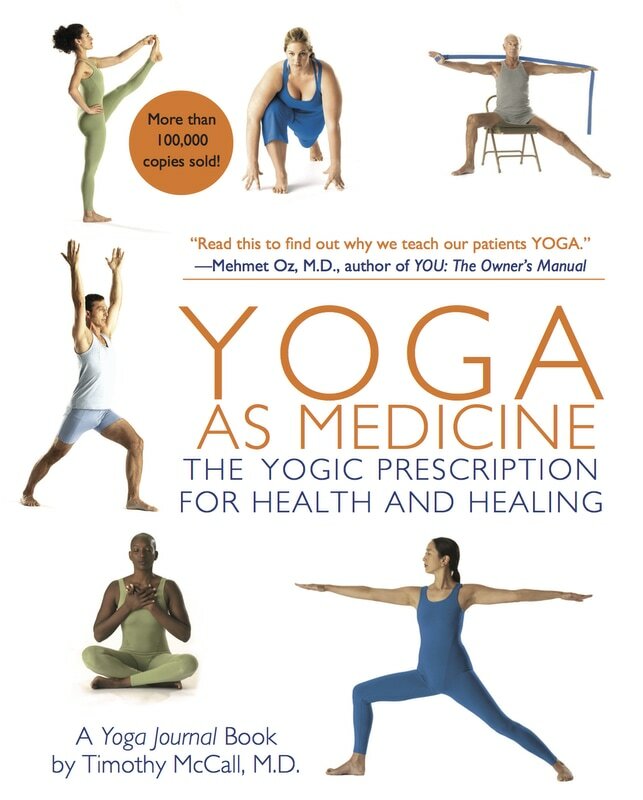 Dr. McCall, Yoga Journal's medical editor and author of the Amazon #1 Bestseller Yoga As Medicine, leads us on a surprise-filled journey from South India to the US and back, from banana, jackfruit and coconut groves to sterile hospital wards. 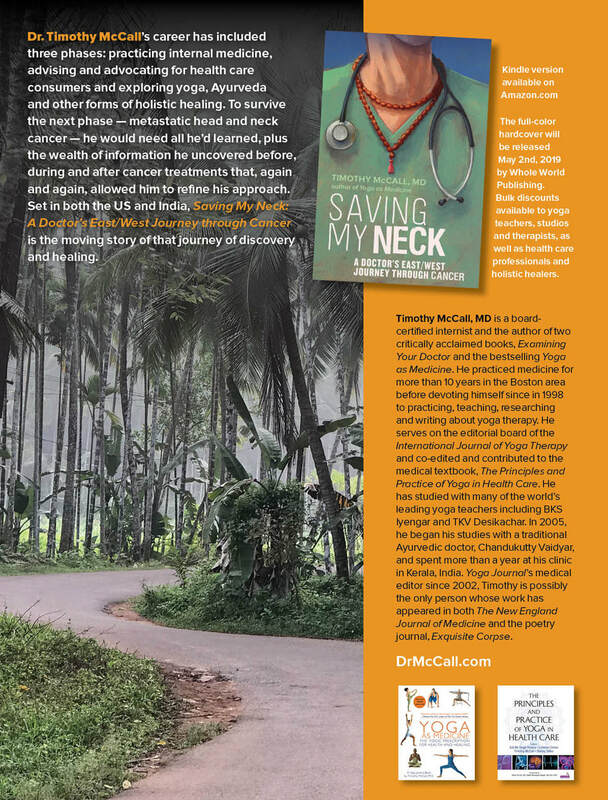 Part memoir and part meditation on holistic healing, Saving My Neck: A Doctor's East/West Journey through Cancer is for yogis and non- yogis alike. It's for healthcare professionals, holistic healers and those facing health challenges — and anyone who loves a good story. The latest on yoga therapy, scientific research, new articles, photos, podcasts, etc. In conjunction with an online course on Yoga As Medicine on Yoga U, I recorded this video. It's over 40 minutes long, and is a good introduction to my overall approach to yoga therapy, my ideas about what yoga teachers and therapists should — and shouldn't — be doing with students with medical conditions, integrating yoga into modern medical care, etc. I had a lot of fun recording this interview and hope you enjoy it! Below are a number of my favorite articles, including the first article I wrote for Yoga Journal , when I became their Medical Editor in 2002, and several more recent ones. These articles were published in a variety of sources from Yoga International to the International Journal of Yoga Therapy, as well as a couple published in my email Newsletter. "Is Yogic Levitation Possible?" isn't an article, but I couldn't resist including it. Big Reveal: My Cancer Diagnosis. For a variety of reasons, when I needed to undergo chemotherapy and radiation at the beginning of 2017, I decided to keep it private. But now I'm releasing a book about the experience, so it's time to make it public. This was the very first, and still my favorite, of my Yoga Journal articles. It describes my first trip to India, and my efforts to reconcile what I'd learned in medical school with what I was experiencing in my yoga practice. How the millennia-old practice of yoga creates sustainable positive change. I wrote this article for the Kripalu catalog just before completing my year as a scholar-in-residence at the Kripalu Center for Yoga and Health in 2005. This article systematically takes apart New York Times writer William Broad's claims that yoga is responsible for hundreds of strokes per year﻿, the emotional linchpin of his yoga-wrecks-your-body arguments. Yoga International profiled my therapy work and the 5-day Yoga As Medicine seminars I teach around the world. The article includes a sidebar discussion on how I teach students to conduct comprehensive assessments of yoga therapy "patients" in order to plan treatment approaches. This article lays out the crucial difference between holism and reductionism. Failing to understand this distinction leads many well-meaning people to embrace sometimes dubious alternative treatments, which I lump into a category I call "alternative reductionism." I hope you'll find it both provocative and full of practical implications for how to keep yourself healthy. This is an alternate version of the article published in Yoga Journal under the name "38 Ways Yoga Keeps You Fit." It's much more complete than the article that appeared in the magazine; it also groups the ways yoga improves health into categories like "Musculoskeletal," "Circulatory" and "Organ Function," which makes it a little more user-friendly. I wrote this in response to William Broad's New York Times article, "Wounded Warrior Pose," and its inflammatory and inaccurate claims about the "remarkable" dangers of yoga. Broad and I have disagreed before, but given the alarmist assertions and flawed science in his articles, I felt it was time to address the matter directly, and speak up on behalf of yoga and its vast healing powers. Only available here! Be sure to click here for the whole story. 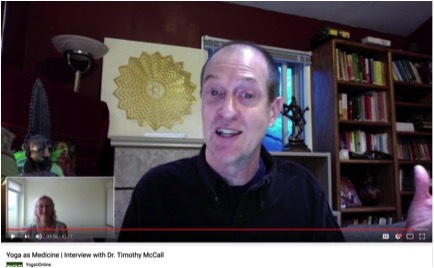 Immerse yourself in the art and science of yoga therapy with Dr. Timothy McCall, the bestselling author of Yoga as Medicine (Bantam), medical editor of Yoga Journal, as well as co-editor of the only professional-level medical textbook on yoga therapy, The Principle and Practice of Yoga in Health Care (Handspring Publishing). 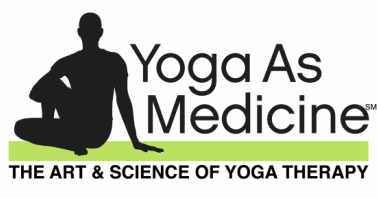 Yoga As Medicine (YAM) Level 1 is the foundational course, and is strongly recommended, though no longer required, to take any Level 2 YAM Seminars, including The Ayurveda of Yoga Therapy, and Yoga Therapy for the Nervous System. 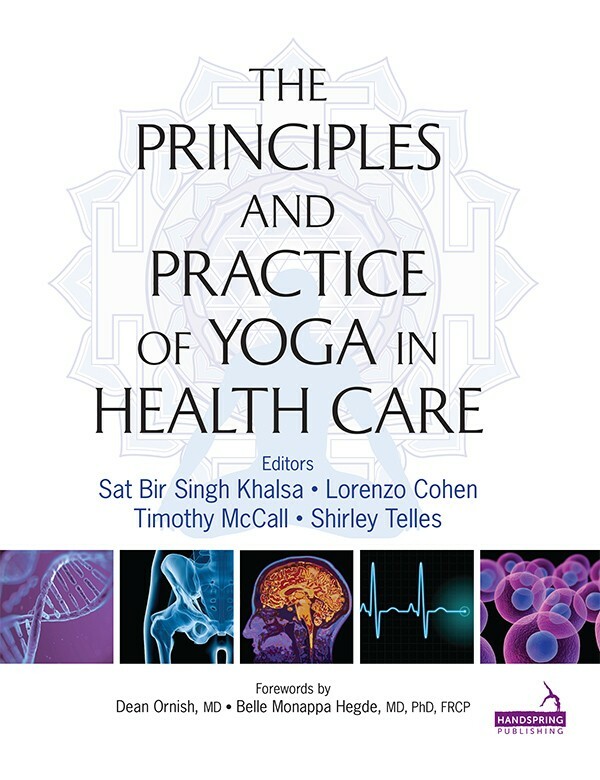 In all Yoga As Medicine courses, we take an eclectic approach, grounded in science and a strong foundation of good alignment and mindful breathing, yet energetically alive, psychologically savvy and spiritually attuned — true to the heart of yoga and Ayurveda (India's traditional holistic medical system). We believe healing is found in every serious yoga tradition, and use good ideas from different lineages in order to meet the specific needs of our students. ​YAM Level 1 and the four YAM Level 2's are five-day, hands-on, roll-up-your-sleeves workshops using a personalized therapeutic approach based on a holistic assessment of function on all levels of body, mind and spirit. YAM uses the full palette of yogic tools including asana, pranayama, and meditation, as well as dietary and lifestyle advice. I am taking a Sabbatical from teaching until May of 2020, except for one long-since scheduled YAM 2 training in Austin, Texas in December 2019. In 2020, we're planning Yoga As Medicine Seminars in New York, London, the Washington, DC area and the San Francisco Bay area. The heart and soul of Yoga As Medicine Seminars is group case work, in which participants team up to work — in a supervised fashion — as yoga therapists. This photo and the ones below illustrate case work from recent workshops. Seminars and Teacher Trainings or to sign up, please follow the hyperlinks above to the hosting studio or retreat center. Are you writing a how-to book on health? A guide to a yogic or other holistic approach? 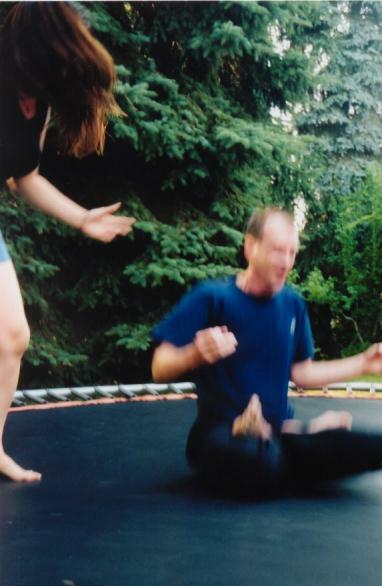 A memoir of illness and healing?